Status: Eliminated by Anna Kendrick in Round 1! Karen Gillan is an actress, best known for her role as Amy Pond on the BBC’s revival of Doctor Who and is the longest running “companion” on the Dr. Who series. Last year she moved to L.A. to further pursue her acting career and move (and I would assume lay the groundwork to her inevitable cancellation from Dr. Who which is infamous for constantly exchanging its characters for new faces). She is currently appearing as the lead in two upcoming films: Not Another Happy Ending (2013) and Oculus (2014). An only child, Karen was born and raised in Scotland, and she developed a love of acting at a young age and attended The Italia Conti Academy of Theatre Arts in London after studying briefly at Telford College in Edinburgh. She is also quite fond of playing the piano, having played since she was a little girl. 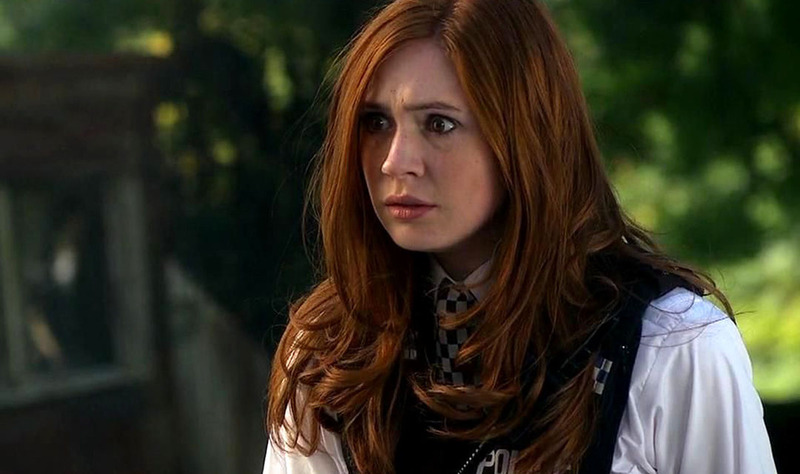 Karen Gillan as Amy Pond in Dr. Who.